Our youngest son is an avid runner and sometimes runs as much as 24 miles a week Needless to say, after one of his long runs, he is needing some replenishment. Our friend, Jennifer, who is a trainer, tells us that it is very important to have some protein after a long run. 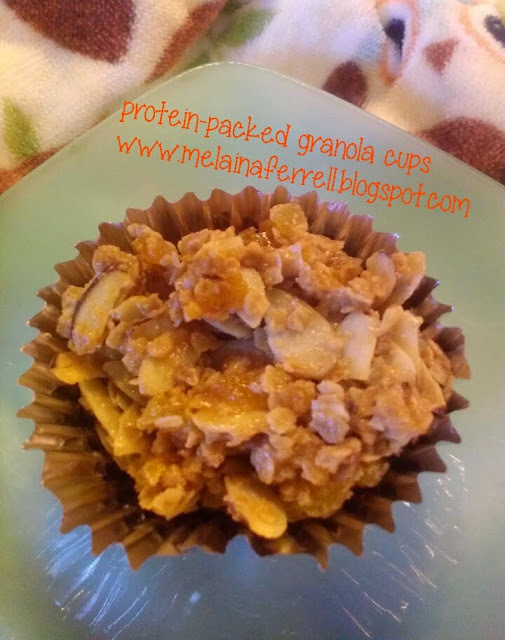 So, today I created a snack that I think is pretty healthy and is packed with protein; Protein-Packed Granola Cups. This snack has peanut butter and almonds for protein and oats and honey for quick energy. I hope you enjoy these as much as we do! Preheat oven to 300 degrees. Chop the Apricots into small pieces. In large bowl mix together apricots, oats, and almonds and mix well. Add salt and mix again. vanilla until creamy and smooth. 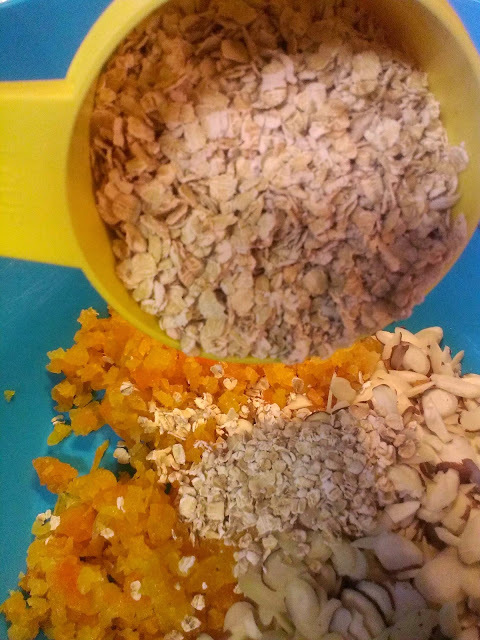 Pour creamy mixture over granola mix and stir together until well blended. Line cupcake pans with foil cupcake liners. 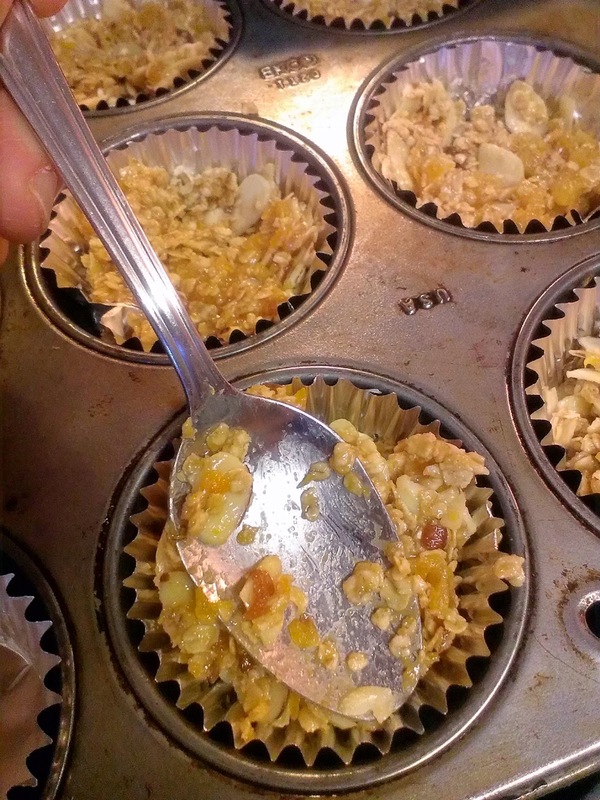 Fill each cup with granola, pressing down into pan with back of spoon. Bake 20 minutes on 300. Place pan on wire racks to cool. Granola needs to completely cool before eating. Serve with ice cold milk or ice cold water. Enjoy!